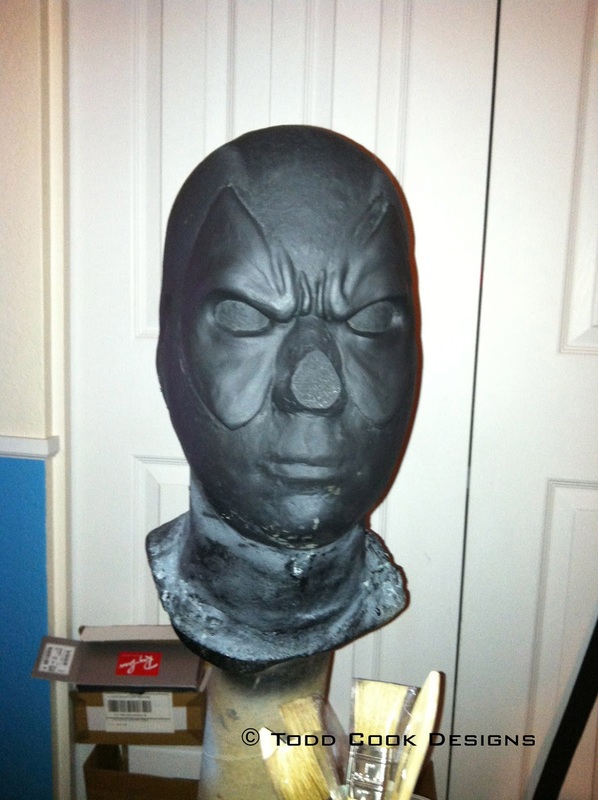 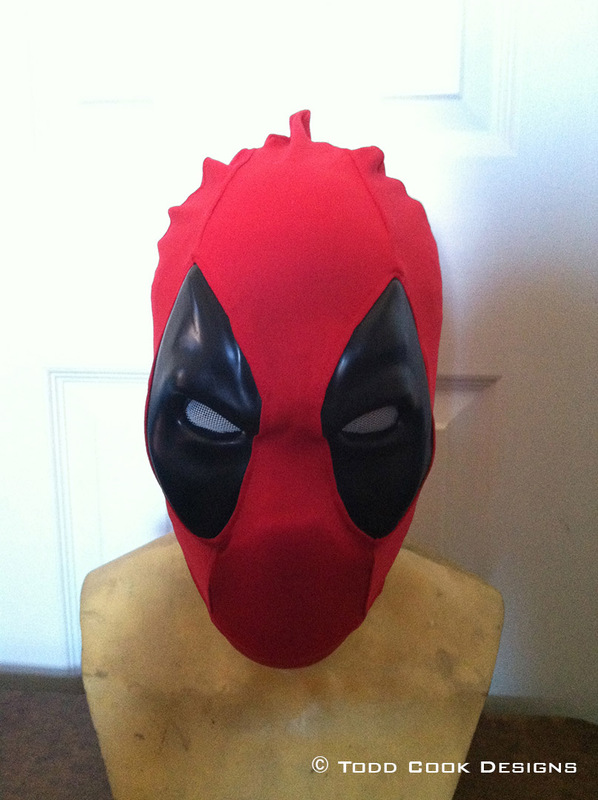 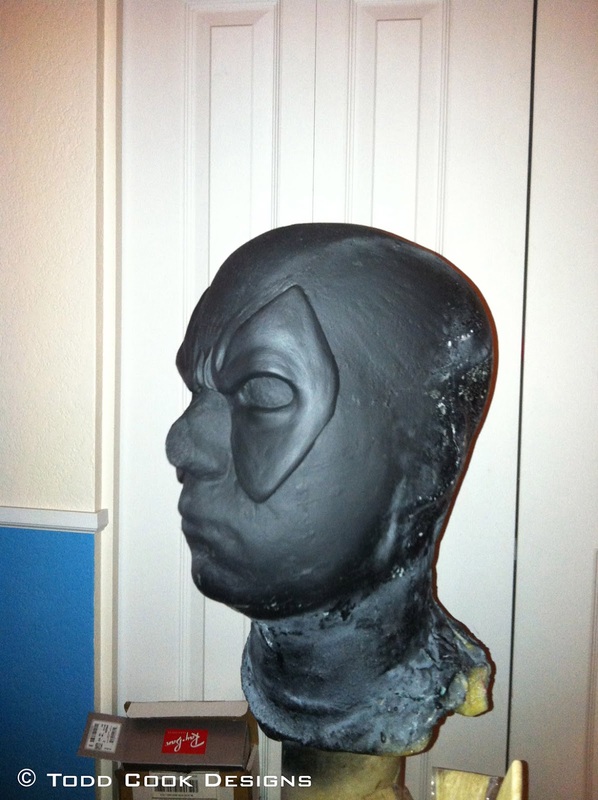 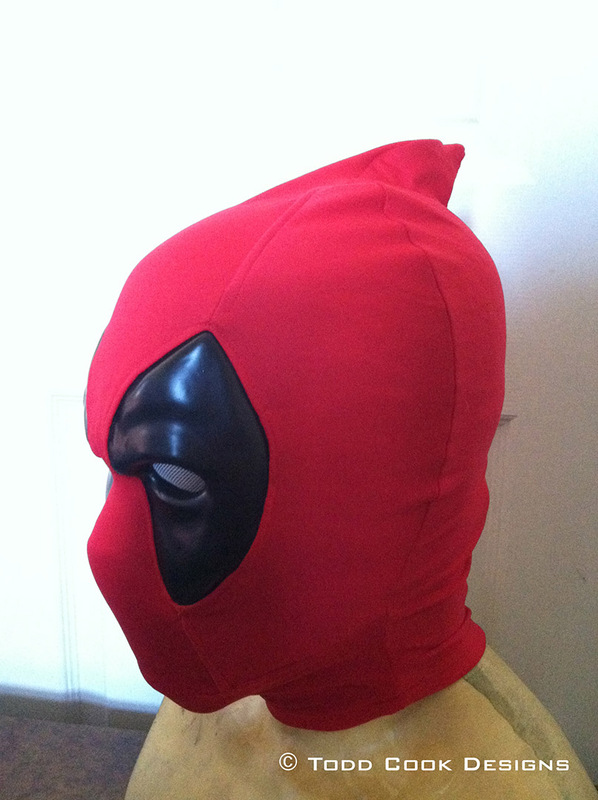 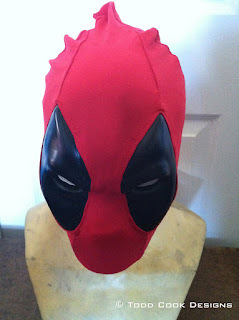 Sometime last year, cant really remember the exact month, I want to say somewhere around Halloween I was commissioned to make a video game style Deadpool mask. 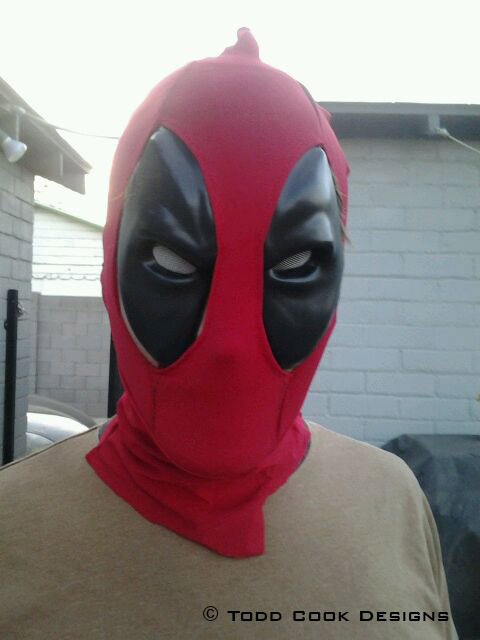 Well after all the madness that was Halloween and all the holidays I finally got around to it. Some rough sketches were drawn up and shown to the customer and after some minor changes I was off to sculpting. 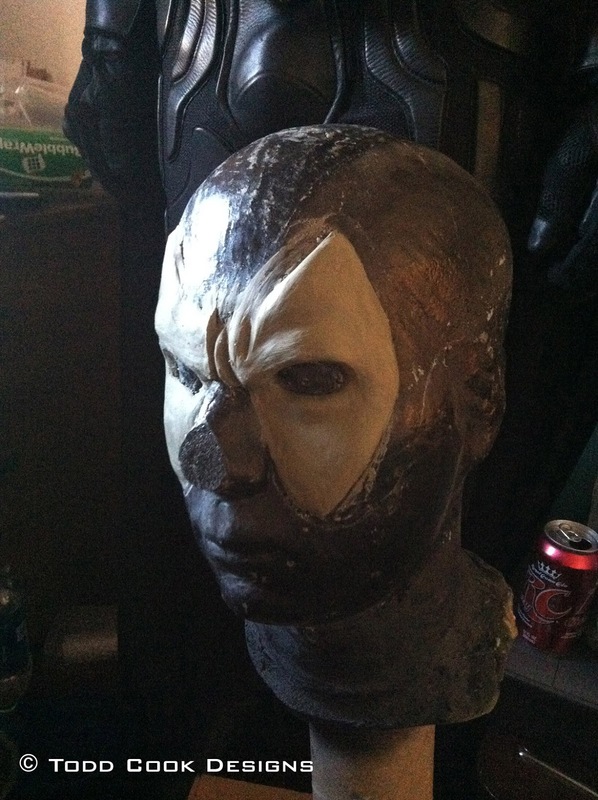 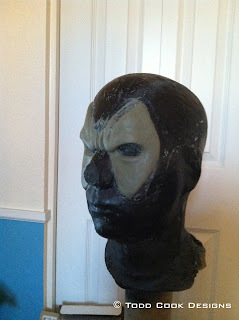 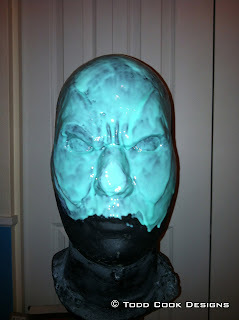 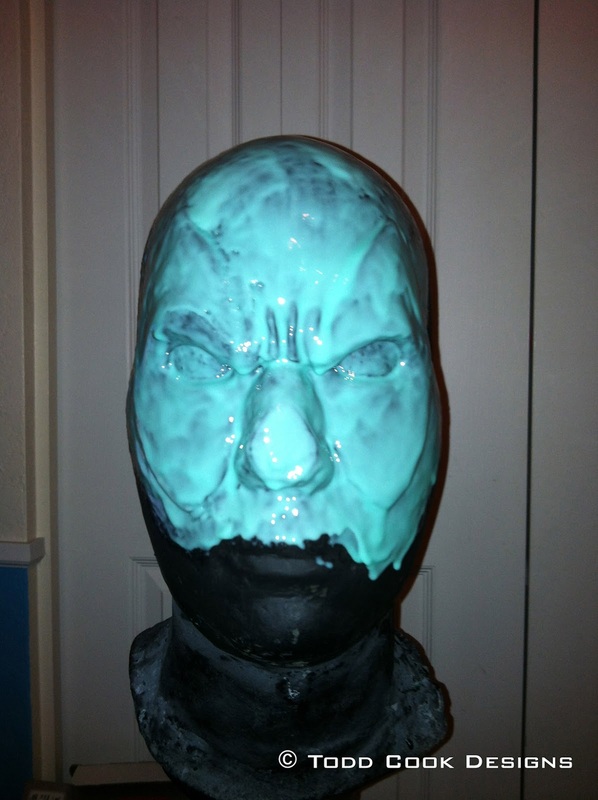 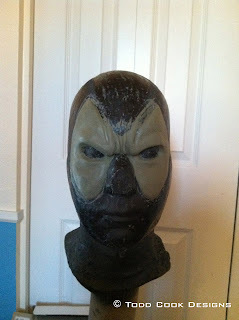 Once the sculpt was finished I then primered the clay sculpt to seal the clay before molding. Now that the clay is fully sealed I can start the molding process. 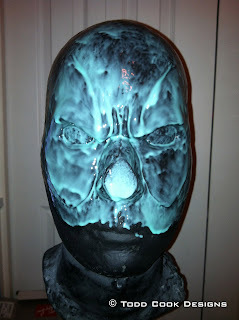 I used smooth-on rebound 40, as I had some left from the Bane project. It was made the same way the Joker mold was made, so if you are interested in the how to skip over to that page and check it out. Ill show the pictures anyways. 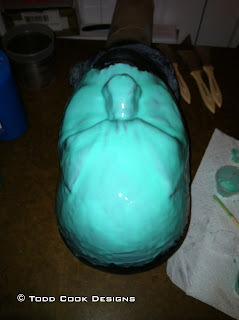 I did not get any pictures of the mother mold making process, because that is the step where I can easily ruin my phone while trying to take pictures with resin everywhere. 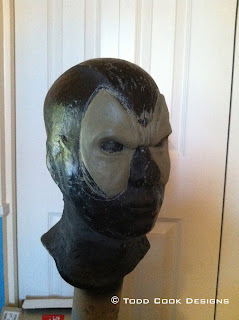 Once the mold was finished a fiberglass pull was made and turned into a vacuform buck. At this point I could start pulling vacuformed black styrene under shells that would be trimmed out and have mesh added for the eyes. 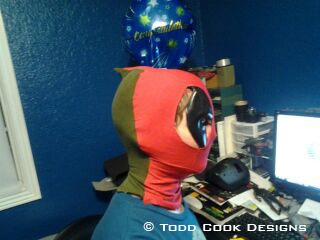 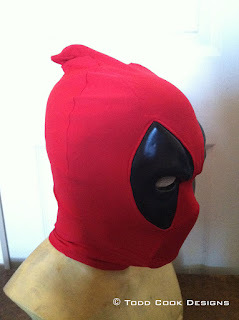 Now that the under shell was finished it was time to drop it off to have the fabric hood sewn up. 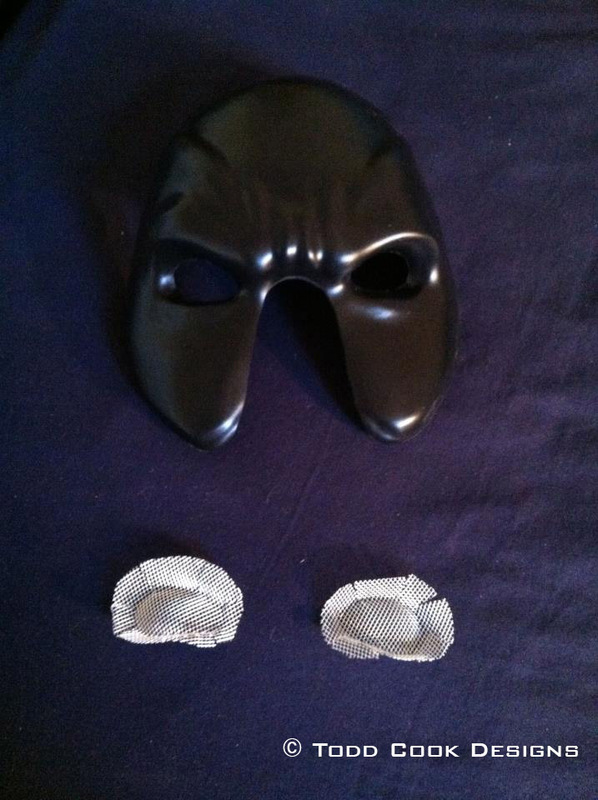 I was only there for the placement of the eye holes, so I cant tell you all the magic that happened but I can show you what I saw through pictures. 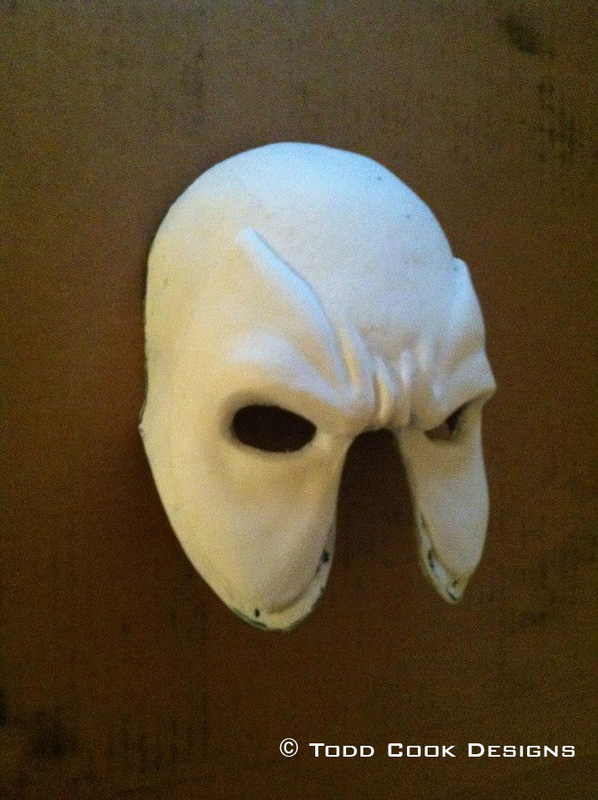 Once the final hood was sewn up I then took all the parts back and glued the whole mask together. 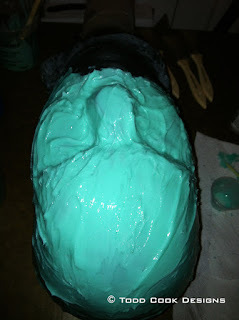 This is what we ended up with. 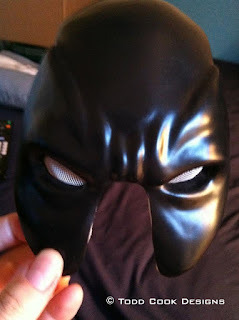 The final mask was sent out and the customer was thrilled. 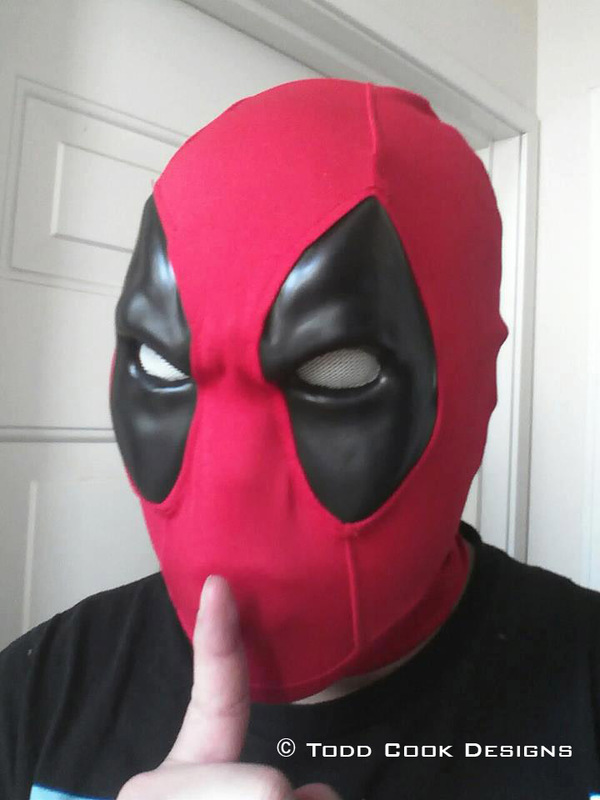 Another photo from a happy customer! 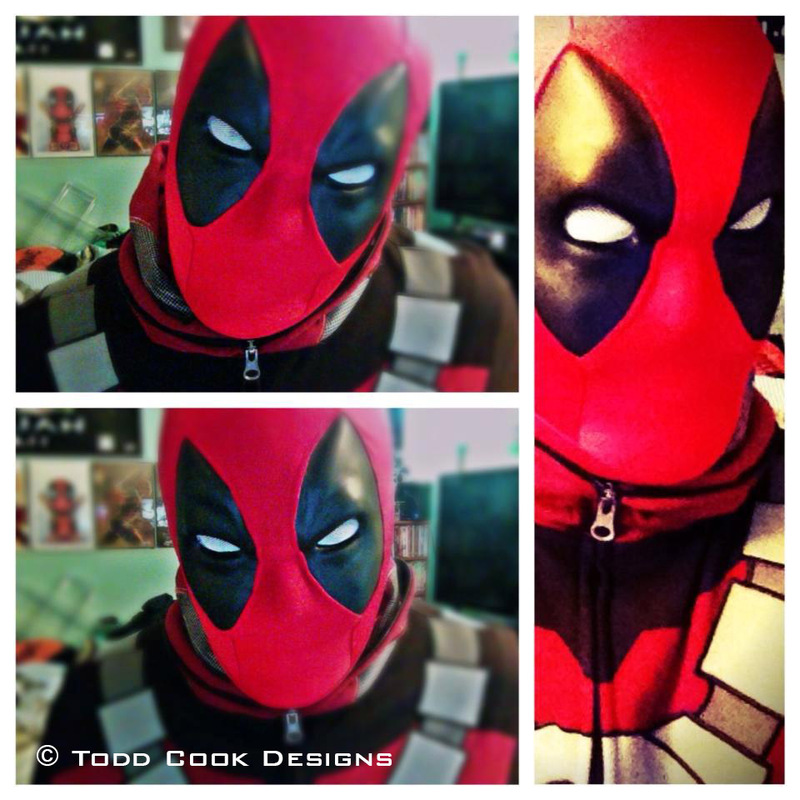 Thanks for stopping by and checking out this deadpool build.